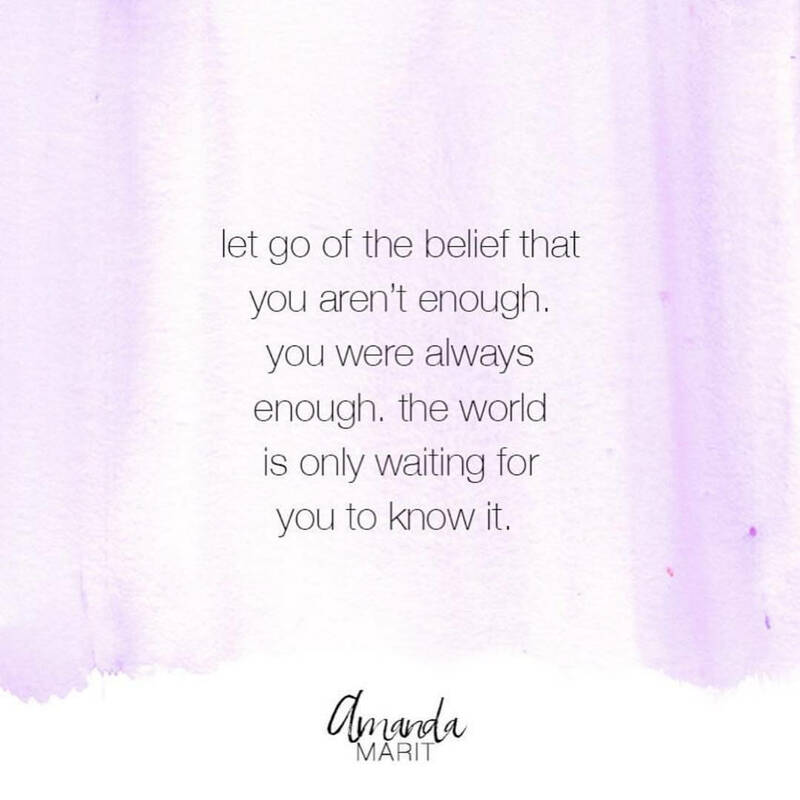 Takeaway: Amanda Marit's purpose is to teach others how to liberate themselves from fear, lack and loneliness, and how to create a life you love. 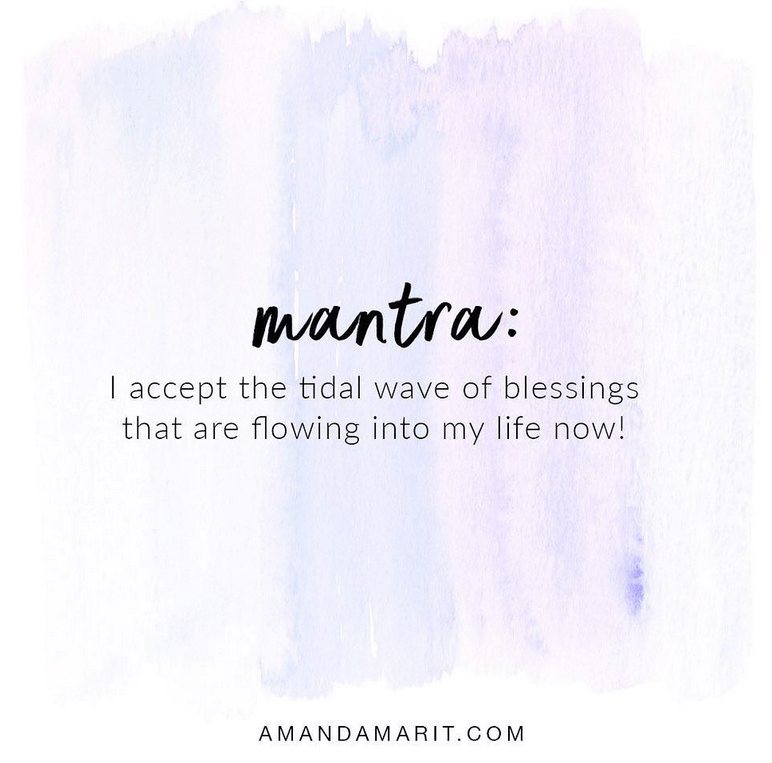 Amanda Marit is an Intuitive Coach and Spiritual Teacher with a deep calling to guide women to step out of their heads and drop into their hearts. We recently caught up with Amanda to discuss her current practice, her message to the world and her take on social media. Yogapedia: Can you tell us a little about yourself to start? AM: Would love to! I’m an Intuitive Coach and Spiritual Teacher. What does that mean? I get that question often. Well, what I do is pretty unique. It’s a balance between “let’s lift the mindset!” and let’s tap into the love plus magic within our soul and allow ourselves to be guided by Spirit/God/The Universe. It invites you to expand into the most empowered, loving, authentic version of you with as much ease plus magic as possible. To me, this is not just what I’m here to do or my life’s “work.” This is who I am. It’s embedded within me and shows up in all I do. I’m obsessed! I grew up in Michigan and it wasn’t until after college when I began my spiritual journey right after moving to Florida. I spent seven wonderful years in Tampa, then earlier this year moved out to sunny San Diego. Currently living the dream! Yogapedia: How has your practice of self-development evolved into what it is today? AM: It has evolved through getting really bold with myself and facing all of my fears and triggers that come up along the way. Giving myself permission to feel them plus choose to free them. It’s been a combo of that and learning to love all aspects of myself as I go. Learning to listen more to my heart rather than the monkey mind! I could probably spend all day on this response, but we’ll keep it at that for now. Yogapedia: How would you define spirituality in your own words? AM: To me, spirituality is the relationship and connection between the soul and our higher power. It’s living your life knowing that each of us are a soul living a human experience, and there is so much more beyond what we can see with our physical eyes. We are here to remember to choose love in all of our moments. To move beyond the limits of the mind and step more powerfully into the essence of who we really are as a soul. Freeing ourselves from fear, attachment, limitation, lack, loneliness… and stepping into our fully love-empowered selves. To embrace the bliss, joy, freedom and abundance that we truly are! Yogapedia: Can you talk to us a little about the power of limiting thoughts? AM: Oh man, I would love to! This is a big one. Our thoughts are so unbelievably powerful that they will either lift or lower us in each moment. When our thoughts are rooted in a limited view, all we see is the illusion of “not possible.” We buy into the idea that we are somehow stuck in our current reality with no way out. We aren’t able to open up and access the infinite possibilities that are actually available to us in every moment. I get a vision of putting ourselves inside a box where we can only see life from inside of its walls, but if we opened the box we would finally be able to see all of the magic that is possible outside of it. Yogapedia: Do you know your purpose? What brings you clarity to your purpose? AM: My purpose is to bring the energy of love into this world plus to teach others how to liberate themselves from fear, lack and loneliness. To empower souls who are ready to step into their own personal freedom and become teachers themselves. To know that we each have the power to create every aspect of the world we live in. It’s not only for me to teach this, but to continue liberating myself in the process. To teach is to learn. Yogapedia: What do you want to say to the world about creating a life to love? AM: If you hold a vision in your heart, it’s absolutely possible for you. You wouldn’t have been given the dream if it wasn’t meant for you, it’s going to require you to step outside of your comfort zone plus trust in that vision with all your heart. Even if it feels far away, every small step adds up! It’s going to require you to unlearn beliefs you’ve taken on that say you can’t have it. I can promise you when you step forward into that vision with full faith, it will evolve into something even better than you planned. Yogapedia: We reached out to you on Instagram. In your opinion, what is unique about the Instagram community around self-love and spirituality? AM: I absolutely love Instagram. It’s such a great way to drop in bits of "inspo" and wisdom on the go. For those who want to be inspired throughout their day, it’s a quick and easy way to have it at their fingertips. I have noticed in the areas of self-love, people LOVE the reminders and I receive so many messages about how it hits them at the perfect moment when they weren’t even looking for it. Instagram is magical that way! You can simply open the app and the perfect message to remind you of your own power will appear. Yogapedia: What is the most unexpected result from your popularity on social media? AM: I have built my entire business on Instagram! I started out blogging with no intention of becoming a coach years ago. I took my blog to Instagram to provide a quicker way to inspire the world and it grew like wildfire! People started asking me how they could work with me and the rest is history. I’m so grateful! 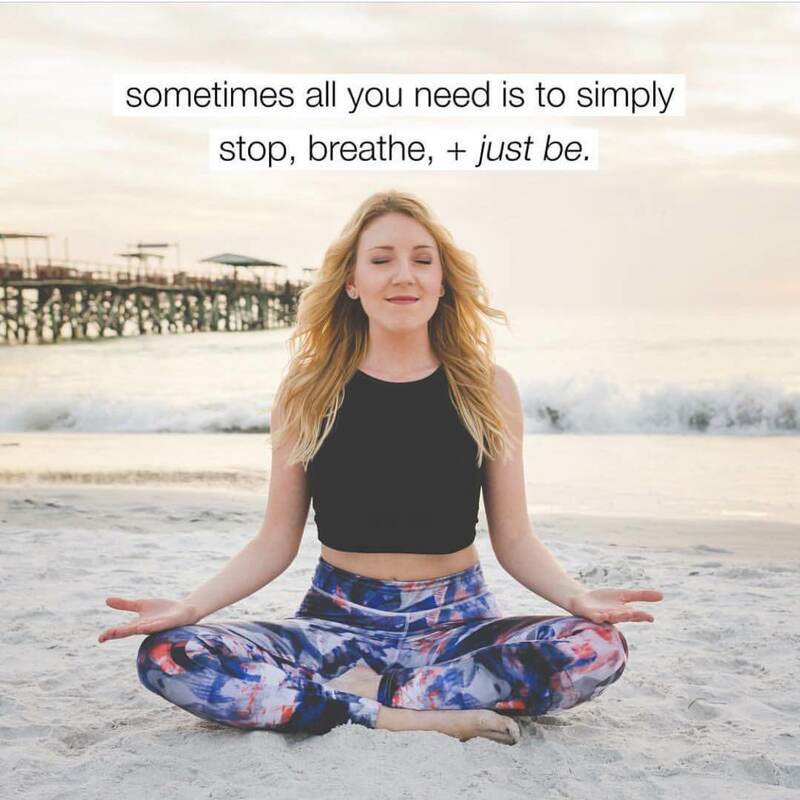 For more on Amanda's practice and coaching, you can check out her Instagram profile and visit her website.